At DYM, we first as you to straighten your thinking about why you want to quit smoking and what you want to get from quitting. There is a book called “Smoking Cessation Therapy that You will Success only by Reading”. It starts from a sentence “Do not quite until you finish reading”. It means that only quitting is easy but keeping it is so much more difficult. Based on the　author’s experience, the books tell what traps or mental problems there will be and how to come over them. Let’ think why you should start quitting slowly and what you want to get from quitting. Why can’t you quit smoking, even when you know it harms your health. One of the reason is because nothing has happened to you yet. Also, the price for one box is not a big deal for those to smoke. Even though they quit smoking, it does not mean they can get something right away. Those who do not smoke know how much they can same well enough, when smokers actually spend the amount. Yet, for those who smoke, nothing harmful is happening to them now. 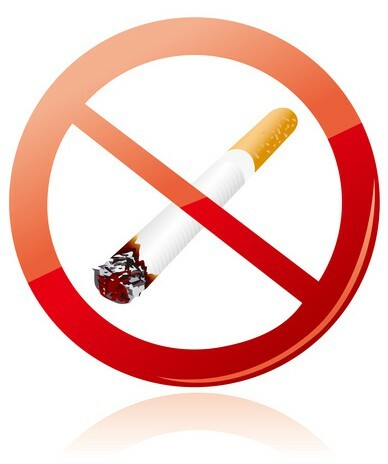 The reason you cannot stop smoking is nicotine in cigarettes. Smoking habit is sometimes also called nicotine dependence, and considered as a disease that requires treatment. At a certain level of nicotine in your brain, dopamine will be released and cause you dependence. In DYM, we use nicotine patch, nicotine gum and Varenicline (Champix from Pfizer). The followings are the features of each medicine. – The Successive rate is said to be around 40%. – This is a medical patch that makes the skin absorb nicotine. – Prevents quitting the treatment by putting one patch every day. – Switch from a large patch to a small patch at some point at quit after 8 weeks. Stop smoking from the 8th day of taking Champix. You can stop even before that if you do not feel like smoking. Take Champix for total 12 weeks. – You can smoke in the first one week of taking Champix. – The dose of Champix will increase gradually. –	Do not think you have already succeeded in quitting and keep taking as the doctor’s direction. –	Make sure to take it with one cup of water of warm water after meal.